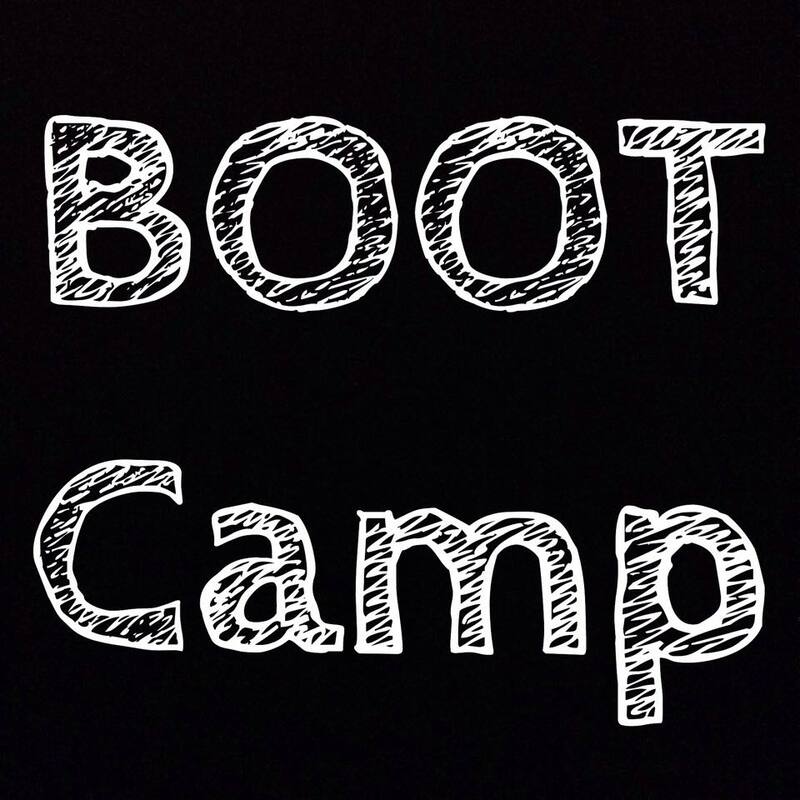 Start the year off right with Linda as she kicks your booty into shape with a 4 week Boot Camp Session.This 60 minute high energy class will get your heart pumping, increase your person power, build strength, power, agility, speed, cardio levels & shed unwanted holiday weight.In the following weeks to come…you will increase your energy levels with powerful moves such as interval training, resistance training, cardio moves, plyometrics, own body weight resistance exercises and more.Come join the troup as we begin 2015 with a healthy, clean start. A total body workout. 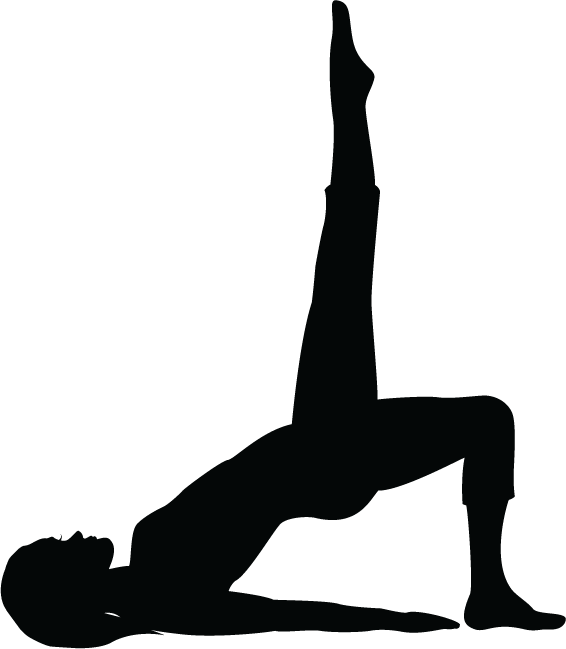 Pilates is an approach to exercise developed by Joseph Pilates in the early 1900`s. The method focusses on strengthening the deep stabilizing core muscles, thereby working the body from the inside out, resulting in safer and more effective movements during a class and in everyday life. Other benefits of Pilates are longer and leaner muscles, improved posture, improved flexibility and joint mobility and greater body awareness. 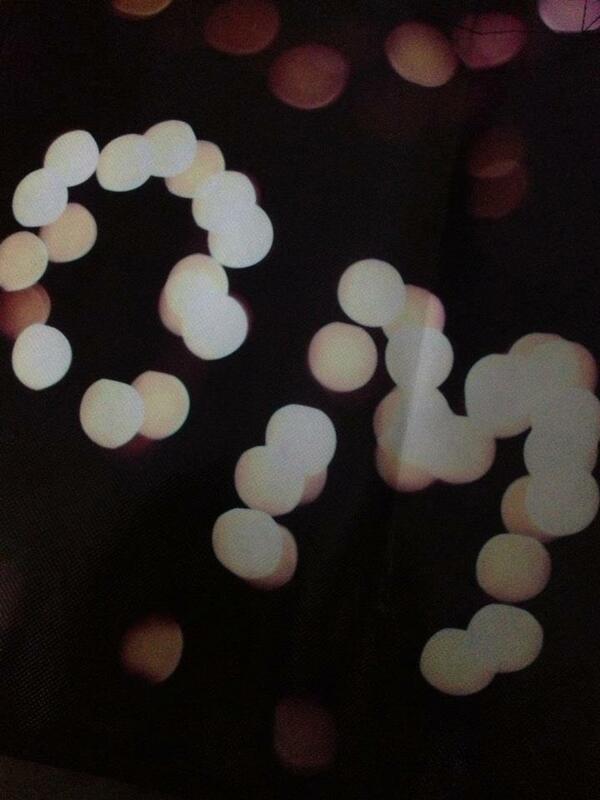 Come get your OM on.. on Sunday December 7th at Namaste Yoga Studio in St. Catharines. Join Linda Summers and Jeff Luciani from 1 – 2:15 pm for a Yoga Class to LIVE music and then after yoga glow, stay and mingle and enjoy a cup of warm coffee, treats, special offers and a chance to win a draw to Namaste Yoga and more. All are welcome to join. Bring friends and family. 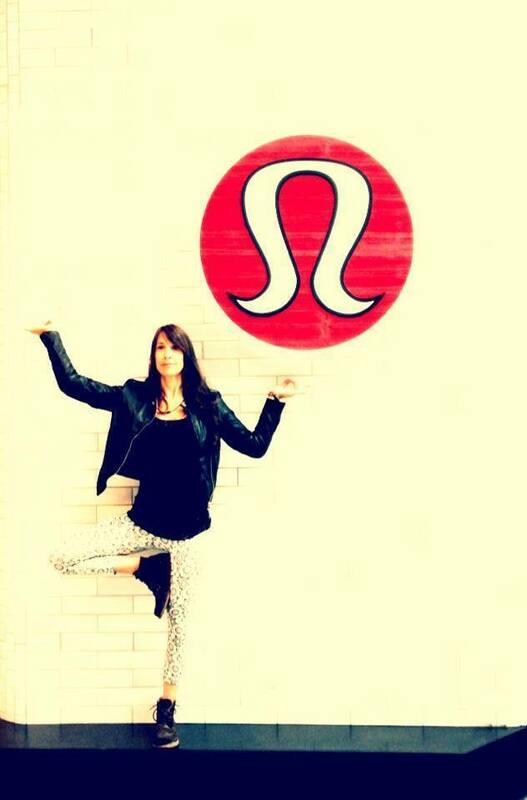 Join myself, Linda Summers along with Lululemon Oakville for a complimentary Yoga Flow class in the Park. 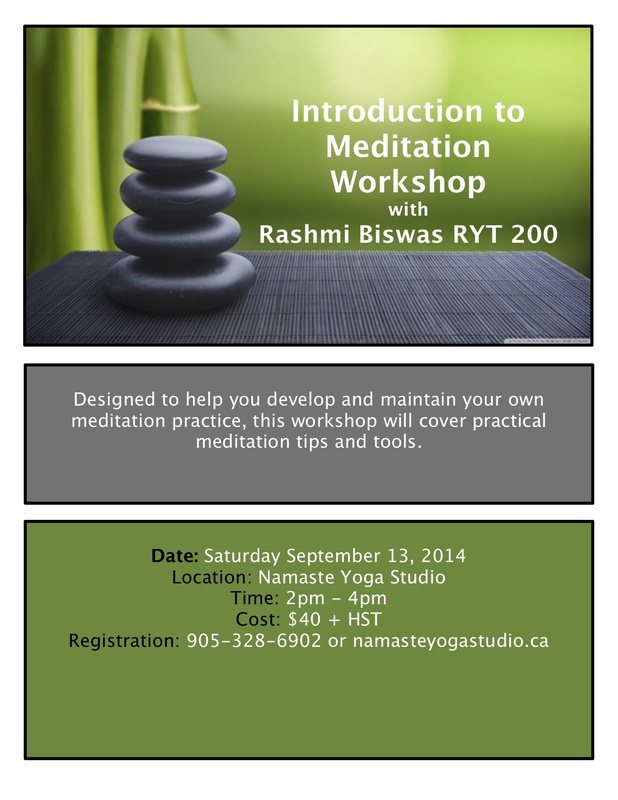 Join Rashmi Biswas for a workshop on Introduction to Meditation. Learn basic tools and tips to begin a meditation practice. Let all your tensions dissolve. Reserve your spot. 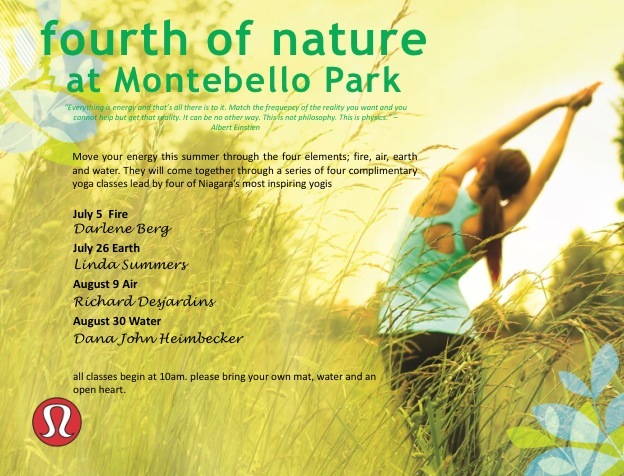 Join Linda in Montebello Park at 10 am on July 26 for an inspired and complimentary yoga class. Remember to bring your own mat.